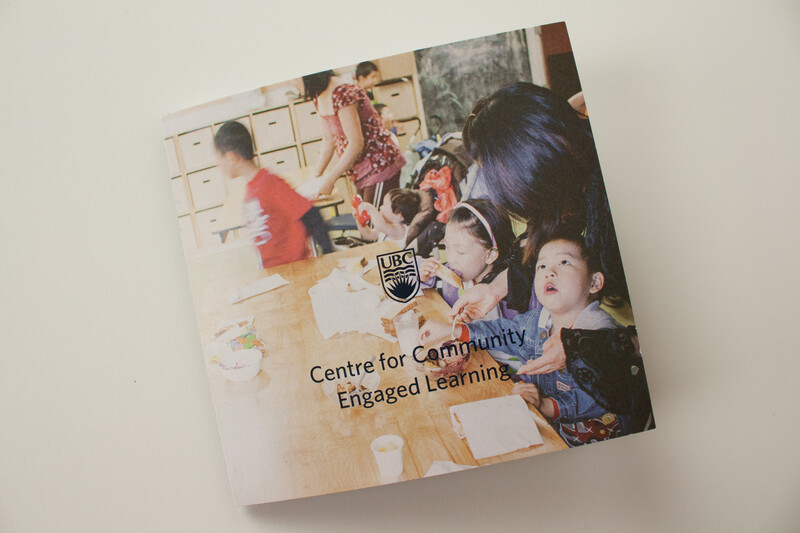 Tool for the UBC Centre for Community Engaged Learning to explain what they do to community partners and faculty. 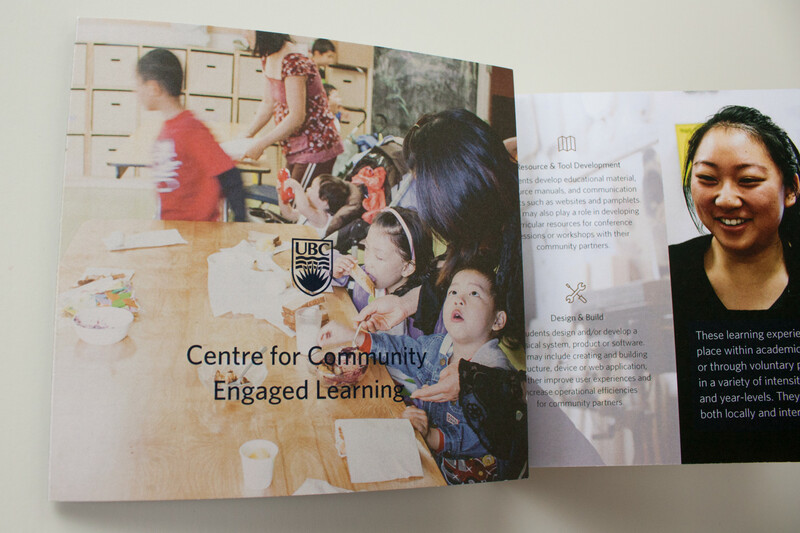 The UBC Centre for Community Engaged Learning helps students engage beyond the university to tackle complex real-world issues. 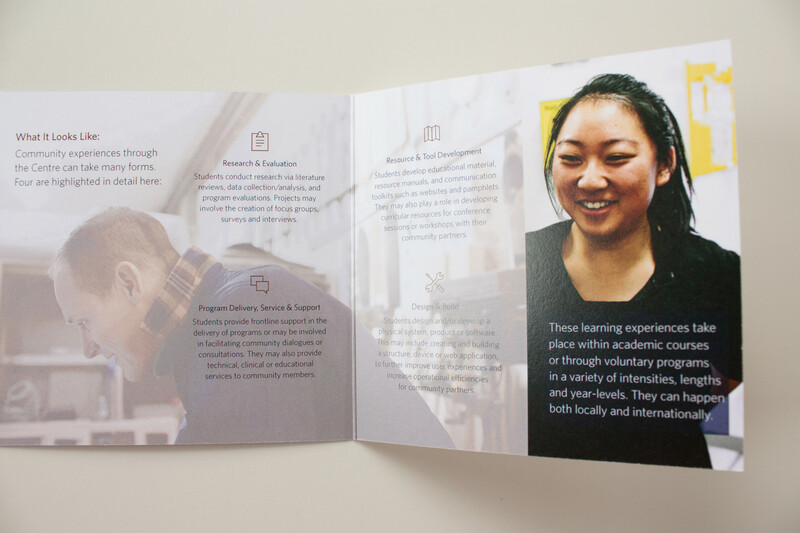 They needed a printed piece to help their community partners, and UBC faculty members understand more about their programming and how it works. 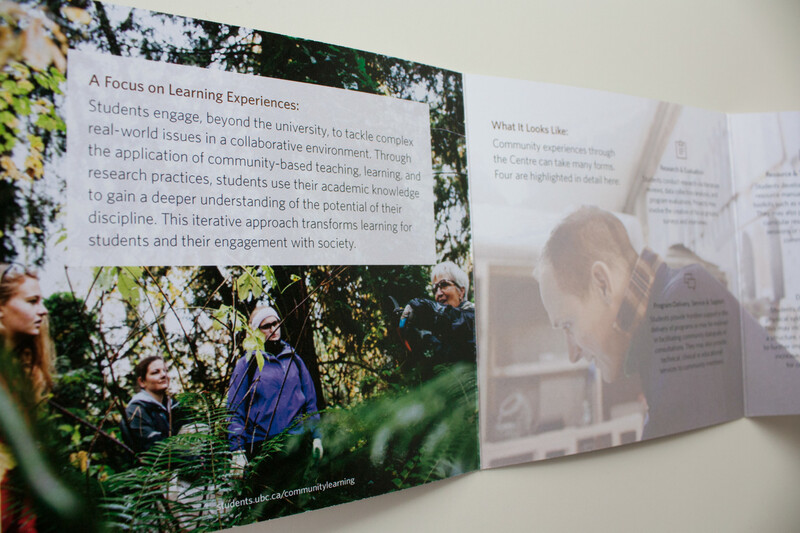 The design I created gives prominance to images of students engrossed in learning outside of the classroom, showing the transformation that comes out of the relationships the Centre for Community Engaged Learning helps build.